The property outlook in Iskandar Malaysia remains attractive with good demand for landed residential properties, as the foreign and domestic property buyers prefer landed over high-rise living. According to Stanley Saw, divisional general manager at SP Setia Bhd (Property South), the development and progress taking place in Malaysia’s first economic growth corridor served as the major draw to buyers. The influx of domestic and foreign investors, as well as new residents into Iskandar Malaysia will continue to drive demand for properties in south Johor. He revealed that the company will launch its landed residential properties in Bukit Indah II comprising around 400 housing units spread across 16.18ha within the 607.02ha Bukit Indah township. Set to be completed in two or three phases, the gated and guarded project has a gross development value (GDV) of RM300 million. SP Setia will launch 183 units of double-storey terrace homes in August with an indicative pricing between RM670,000 and RM900,000 each. There would be 73 units of 22 ft by 75 ft and 110 units of 20 ft by 70 ft double-storey homes with a floor area of 1,900 sqft to 2,000 sqft. The company also plans to launch two commercial mixed development projects this year on a 8.09ha and 4.45ha sites in Bukit Indah business area which will comprise a hotel, a retail and a stand-alone shopping complex. Both projects have a combined GDV of RM1 billion. 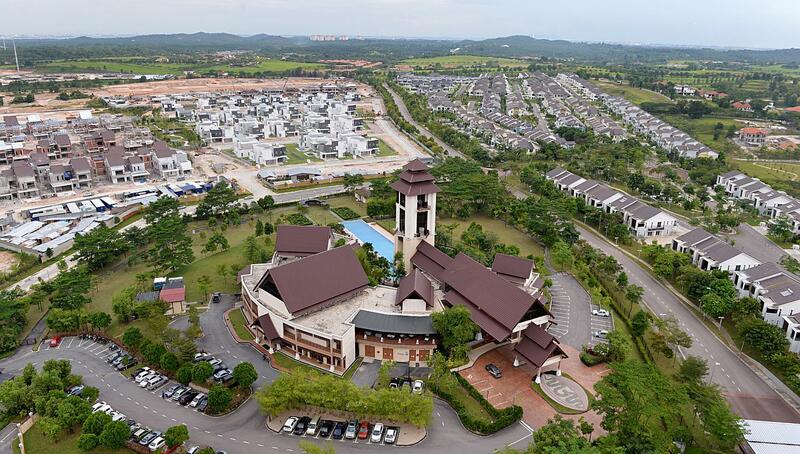 SP Setia will also launch 352 units of landed residential properties priced at RM139,000 each under the Rumah Mampu Milik Johor (RMMJ) at Setia Eco Gardens Jalan Ulu Choh-Pontian. The firm had already handed over 380 units of the RMMJ at Setia Eco Gardens to owners, while 490 units of RMMJ costing RM150,000 will be launched at the fringe of Setia Business Park II in Tebrau.